Writer/director Luke Massey has crafted a quiet, claustrophobic, melancholy little mystery of a movie. Royal Marine A.J. 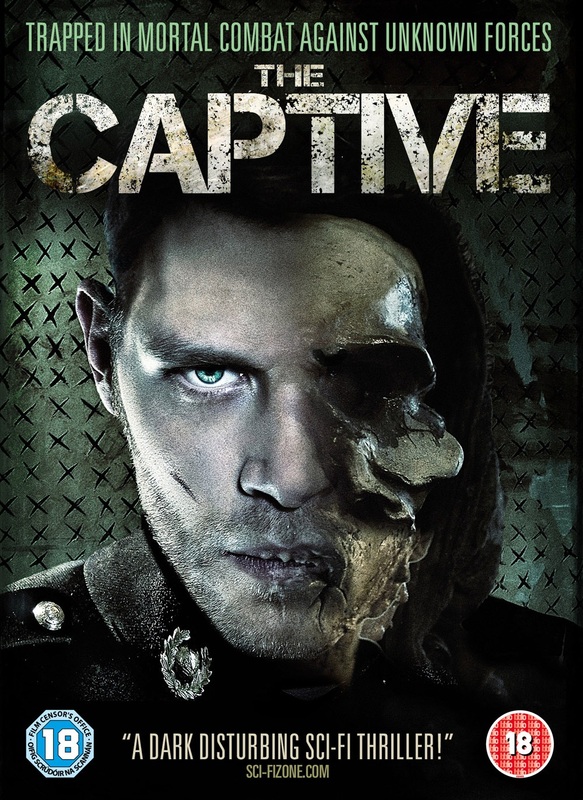 Budd (Joseph Morgan of The Vampire Diaries and The Originals) wakes up only to find himself imprisoned in a strange house. Over and over and over again. He wakes up, he goes downstairs where breakfast is waiting on the table for him and then a bell chimes. When the bell chimes, an otherworldly creature appears out of nowhere and Budd must fight for his life. 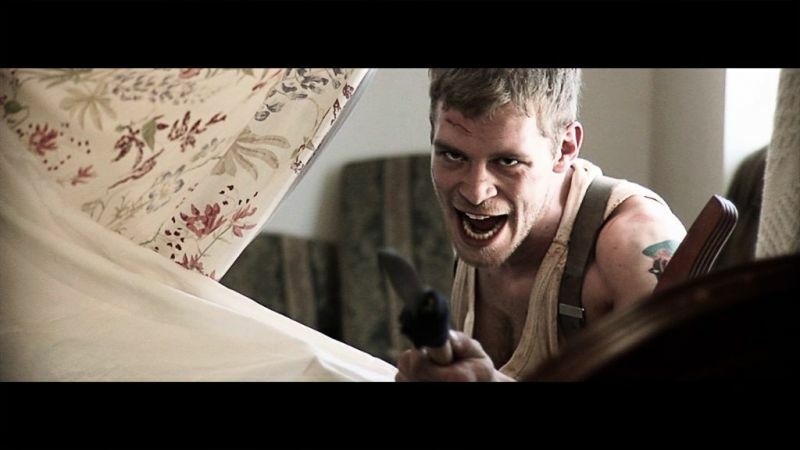 He then has the rest of the day to unsuccessfully find a way out of the house, read the journal from the soldier that was in his place previously and, generally, go insane. Wake, breakfast, bell, fight, go crazy. It's a whacked out horror version of Groundhog Day. Or you can call it a deconstructed zombie version of Edge of Tomorrow. Take your pick because either way, this film is the same day over and over with our protagonist trying to find a way to change his situation. The reasoning behind why this is happening to him is kind-of, not really addressed through the other soldier's journals and then the "resolution" comes again at the end of the film. I think. Armistice is either so amazingly complex and over my head that I need to watch it multiple times to really "get" it or it's, simply, nonsensical. Morgan does a stand out job of carrying the movie on his own, but ultimately, not a whole heck of a lot happens. The creatures that come for him everyday are army zombies, maybe? Budd's own personal demon's from combat, perhaps? The only thing I know about them for sure is that they bleed green blood and are, quite obviously, men in black clothing with some really spectacular makeup. Budd goes through a phase where he takes a certain amount of glee in taking these creatures out and that allows for some fun, clever and gross moments, but that is short lived. The film spends most of it's time in a more maudlin frame of mind and that feeling begins to seep through the screen and be more of a bummer than an intriguing or mysterious feeling. His dread becomes your dread; not necessarily a great thing. Armistice is certainly a movie that is familiar and, yet, like nothing you have seen before. This is both a good and a bad thing; after a certain amount of repetitive days, I just kind of lost interest in the why of the whole situation because I just wanted it to be over. You can only watch a man read journals, chip away at a brick wall and count down the days of his life for so long before it starts to feel as though you are being tortured as well. Overall, Armistice is a great looking movie with an interesting premise that seems to promise an even more interesting conclusion, but it just never seems to fulfill it's own grand plan.